Dubai will never be finished, there are so many building projects going on here, it is difficult to keep track of what is going where and when. 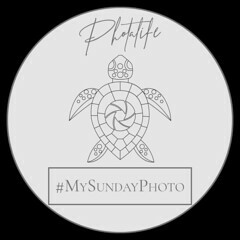 However there are several projects and areas that I've been keeping an eye on and taking photographs of since we moved here. The Dubai Mall, The Dubai Water Canal and the Dubai Eye, seen below. 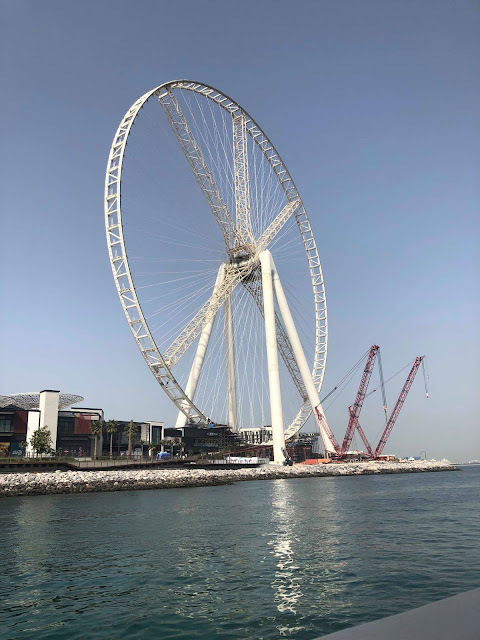 The Dubai Eye is a 210 meter tall Ferris Well and the tallest in the World, scheduled to open in April 2018. It will carry 1,400 passengers in 48 capsules will views of the Marina, Burj Al Arab, Palm Jumeriah and the Burj Khalifa. It will also have a view of our villa which is 4 miles away and seen here from our garden. Taken in January 2014 from the Sheraton Hotel, on a visit to Dubai prior to us moving here at the end of the year. New land created in the sea. 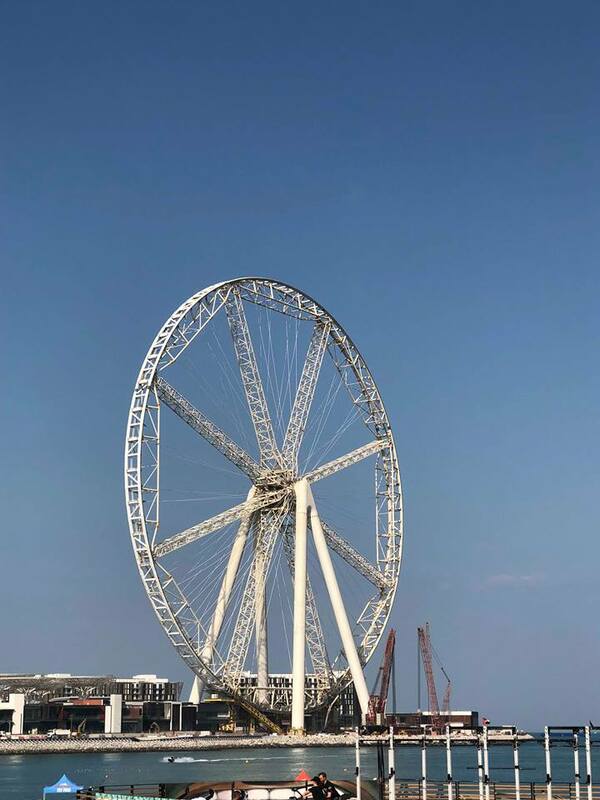 The frame for Dubai Eye in place in August 2015, but another 20 months before the wheel was started to be assembled. Although I visited The Beach in 2016, there was no work on the Dubai Eye so I didn't take any photographs, by March 2017 the first piece was in place, resembling a Pirate Ship. 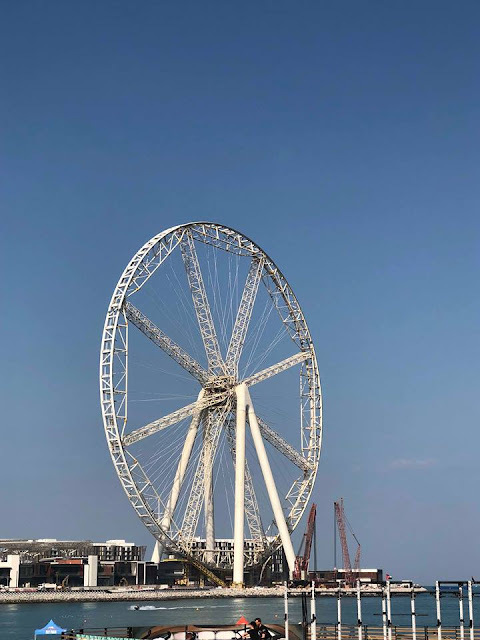 By December 2017 the wheel was almost complete. I missed the rest of the sections going in during the year as I was out of the country. In January 2018 the final piece was in place. Just the capsules to add now. You'll notice some of the struts have been removed and the new buildings behind. Night time view, more struts removed over the last 6 days. You can really see the scale of the project from the beach in a similar location to the 2nd photo. 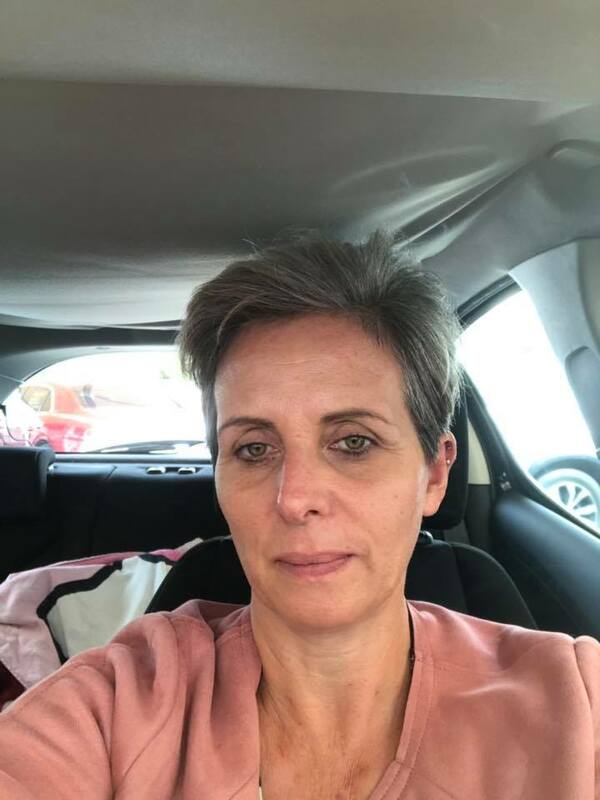 Hi Suzanne, it sounds like building work takes as long there as it does here in Greece. I have no doubt that the views are going to be amazing once the attraction is up and running. It must be so interesting to see the progress of all the different buildings in Dubai. 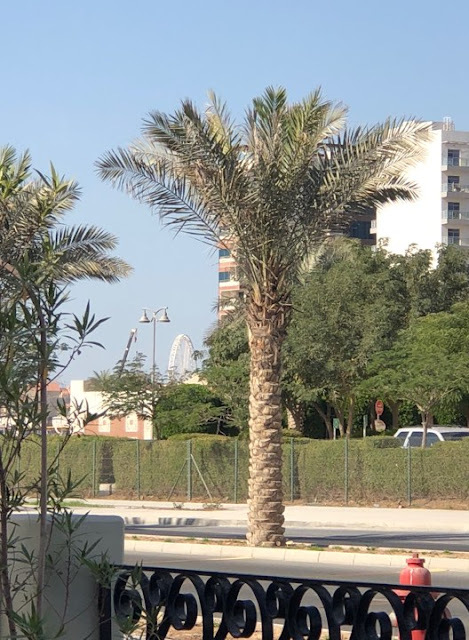 I would definitely not like to go on the Dubai Eye! It's incredible, they never stop and it always has to be bigger than anyone elses. How lovely that you've captured it step by step, it's amazing how much work goes into making these. So interesting to see the wheel being constructed. It does look huge! Dubai is a beautiful place. 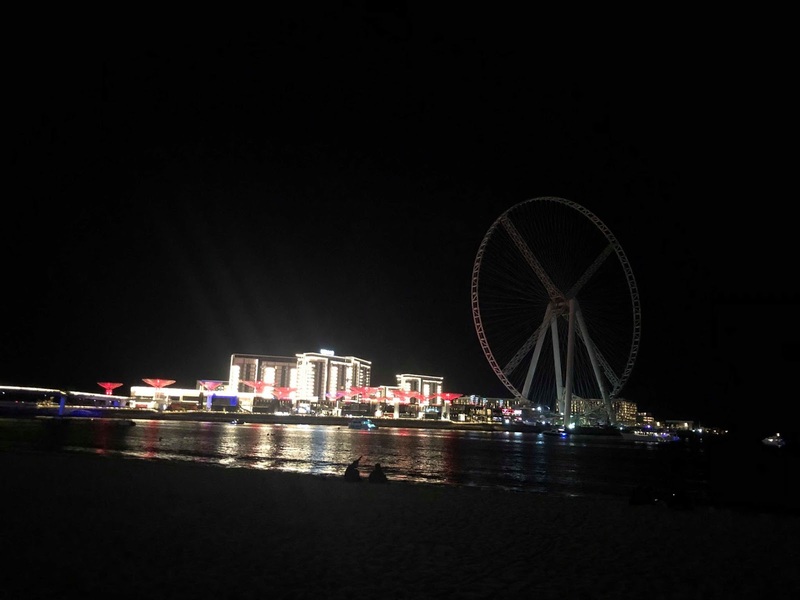 I am happy to see that this wheel is constructed now. Dr Andrew Unterweger is a specialist person who know all these places very well.